With the announcement of the iPad Pro, questions of if Apple will soon merge iOS and OS X have been on many people's minds, similar to what Microsoft has done across PC, mobile and Xbox. Now, however, CEO Tim Cook has laid to rest these questions during an interview at the BoxWorks conference, saying, "We don't believe in having one operating system for PC and mobile." 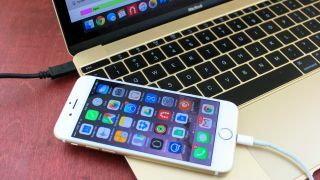 He added that merging the mobile iOS and desktop OS X would 'subtract' from each other, and users would not get the best experience from either. "We're very much focused on two," he said. While Apple has no plans to take on Microsoft's strategy of unifying it's OSes across platforms, Cook did have a few things to say about the partnership between the two rival companies, including "Office on the Mac is a force". Cook explained that the two companies have more things they can partner on than compete on, and so he isn't "holding grudges." He added that the partnership has happened because Microsoft "is great for our customers," and is something customers, especially in enterprise, have been wanting.